According to the latest What’s Working survey from Mercer, younger workers say that although they are much more satisfied with the organizations they work for than the overall workforce, they are also much more likely to be considering leaving for a new job. New Mercer research shows that U.S. employees are less committed to their employers and less satisfied with many aspects of the work experience compared to five years ago. 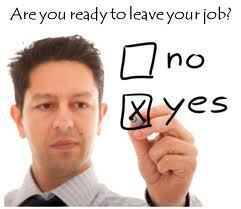 As a result, one in three U.S. workers is seriously considering leaving his or her organization at the present time. Of equal concern is apathy: The one-fifth of employees who didn’t commit to staying or leaving are least satisfied and engaged of all. Two factors are behind this shift: an evolving employment deal that employees have viewed as a series of takeaways, plus further actions taken in response to the economic downturn, such as cuts in pay, benefits, training, promotions and jobs. From the employee viewpoint, not only has the deal been redefined, in many cases, the new deal is not being delivered as promised. But the What’s Working survey also found that in response to the question, “At the present time, I am seriously considering leaving my organization,” that the youngest workers (age 16–24) recorded scores of agreement with that statement that average 10 percentage points higher than the overall workforce worldwide, while scores for workers age 25–34 average 5 percentage points higher. The gap when asked this “considering leaving my organization” question was even greater in the U.S., where workers age 16–24 scored 12 percentage points higher than the total U.S. market score of 32 percent, while those 25–34 years of age scored 8 percentage points higher (44 percent and 40 percent, respectively). Yet despite this propensity to leave, when asked about overall satisfaction with their organizations, the survey found that younger workers registered satisfaction scores HIGHER than the overall workforce in most global markets. Scores for employees age 16–24 were higher in 14 of the 17 markets worldwide by an average of 5 percentage points. Scores for employees age 25–34 were higher in 11 of the 17 markets by an average of 2 percentage points globally. In the U.S., the percentage of both age groups that were satisfied was 71 percent, or 4 percentage points above the total U.S. market score of 67 percent. If you’re scratching your head and wondering what is going on here, you’re not alone. Mercer’s What’s Working survey, which examines employee views on work, was conducted over the past two quarters among nearly 30,000 workers in 17 countries, including 2,400 workers in the United States. The survey, last conducted in the U.S. in 2005, includes more than 100 questions on a range of work-related topics and reflects the overall demographics of the U.S. workforce in terms of age, gender and job level. This is a broad and serious study, and it hits again on the very point that so many other surveys have hammered away at over the past year: workers aren’t happy with how their employers have treated them during the recession and beyond, and they are ready to leave “as the economy improves and new job opportunities emerge,” as Mercer puts it. If you are a manager, executive, or HR professional, you should be reading surveys like this and figuring out just what it is you are going to do to retain your best talent, because many companies (like one I used to work for) are not particularly focused on the issue or even very worried about it. And, they will be the organizations left scrambling when the economy finally does improve and their best employees start leaving en masse. Mercer’s What’s Working survey validates what employers have sensed or even seen in their own employee survey data: Employees are not happy. It also confirms that the employment relationship currently resides at a critical inflection point. An engaged workforce is more necessary than ever but, at the same time, more difficult to achieve, due in part to ongoing financial pressures that limit organizations’ investments in potential solutions.